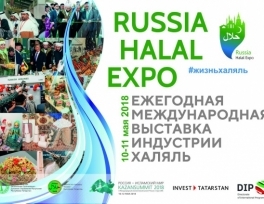 From May 10 to 11, 2018, the annual International Exhibition of the Halal Industry - RUSSIA HALAL EXPO - will take place in Korston Complex Kazan within the framework of the X International Economic Summit "Russia - Islamic World: KazanSummit 2018". The theme for this year RUSSIA HALAL EXPO exhibition is "Halal as a way of life". The producers of halal products from Russia and Tatarstan, as well as near and far abroad: Turkey, Indonesia, the United Arab Emirates, Iran, China, Egypt, Afghanistan, Pakistan, Kazakhstan, Kyrgyzstan, Uzbekistan, Belarus, have confirmed their participation. 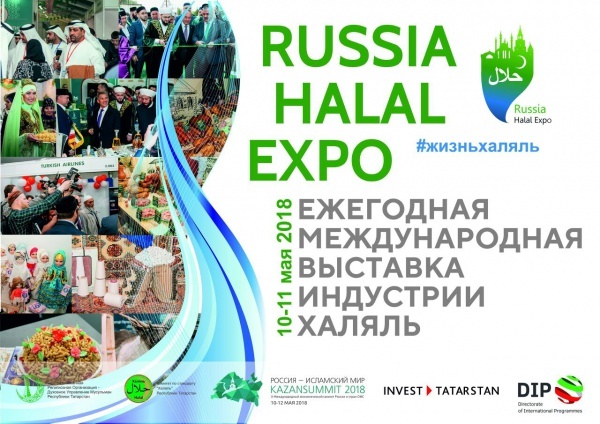 Within RUSSIA HALAL EXPO, the companies will present themselves and their products. - masters will reveal the secrets of Tatar national tea drinking.